Diastasis of Symphysis Pubis and both Sacroiliac Joints (Sprung Pelvis). 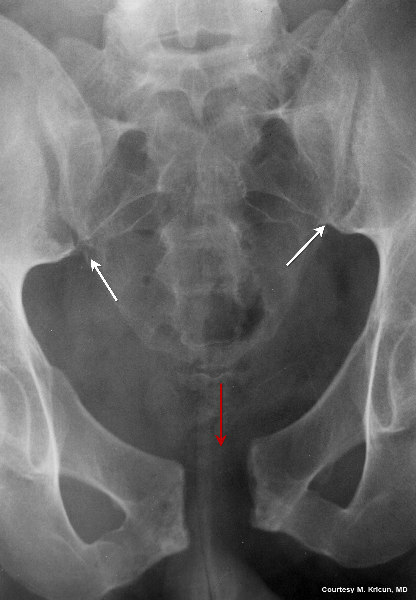 Close-up view of the pelvis shows widening of both sacroiliac joints (white arrows), right greater than left, and marked widening of the symphysis pubis (red arrow). There is an element of vertical shear in that the hemipelves do not align vertically at the symphysis.